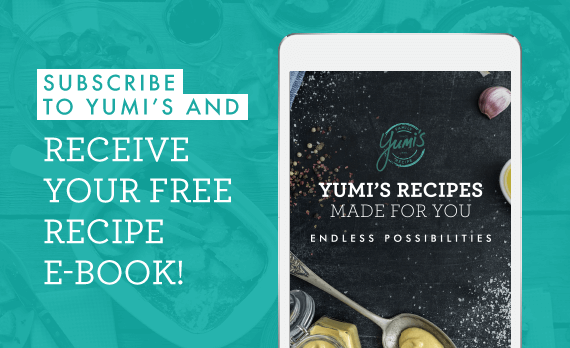 Yumi’s mayonnaise is a rich and creamy blend of ingredients that is smooth and silky on the palette and is a great accompaniment to sandwiches, salads or as a dressing. 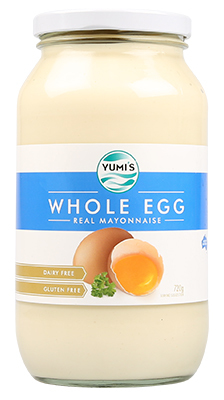 Our Whole Egg Real Mayonnaise is dairy and gluten free and proudly made in Australia. Canola Oil (76%), Egg (12%), Water, Dijon Mustard (2.5%) (Contains Food Acid (Acetic Acid)), Sugar, Salt, Food Acid ( Acetic Acid). TRACES OF TREE NUTS, FISH and SESAME SEED.